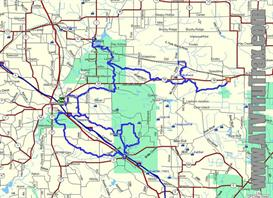 Cheese Country Trail ATV GPS Maps WI, FREE DOWNLOAD! 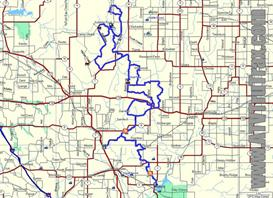 The 47 mile long Cheese Country Trail is one section of the TRI COUNTY TRAILS which offers a unique multi-use trail system meandering through three counties in southwestern Wisconsin. The Tri County Trails are open to all-terrain vehicles ATVs, off-road dirt bikes, mopeds, motorcycles, horses and horse-drawn conveyances, bicycles, and hikers. Bicyclists should be aware that the trail is heavily used by ATVs, and that the trail surface is extremely rough in some areas. Mountain bikes are recommended. 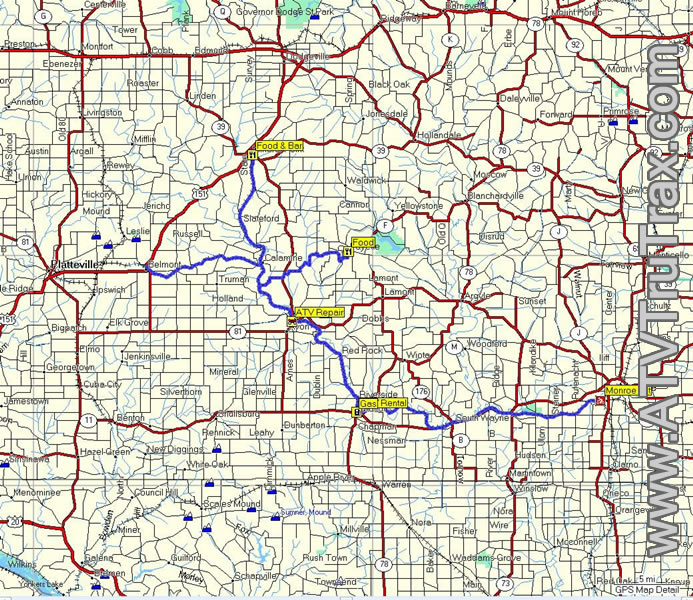 In addition, all users are urged to be cautious and courteous of the many trail-users traveling at different speeds along this scenic back-road view of southern Wisconsin. Stay awhile! Lodging options range from campgrounds, to motels, to RV parks. Many offer easy accessibility directly to the trail. ATV TruTrax GPS Maps are made available to you for immediate download in popular .gdb file format for Garmin GPS units and .gpx format for the universal GPS eXchange Format which can be used with any GPS unit. All of TruTrax GPS Trail Maps are generated during real rides, on real trails so that when you load up your GPS map, you can count on it being accurate. 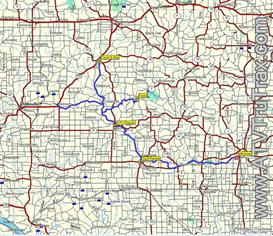 Don''t settle for less than genuine ATV TruTrax GPS Maps!